The MR-REF3 is designed to provide several modes of operation for motor or generator differential, including unbiased protection using a conventional ring-type 1A or 5A secondary rated current transformers. The MR-REF3 is part of the 100 series drawout range within the vision platform. 100(w)x150mm(h) withdrawable case construction with self-shorting CT contacts, M4 screw terminals and IP54 rated perspex cover. A comprehensive under-reactance / under-impedance protection relay providing field failure protection for synchronous machines, back-up under-impedance (voltage restrained overcurrent) or pole slip. The MR-FF is part of the 100 series drawout range within the vision platform. 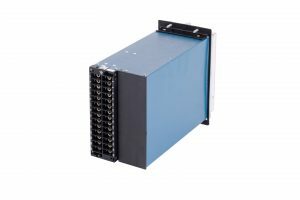 An easy to use IDMT overcurrent relay specifically for generator protection which has a voltage controlled characteristic providing fast overcurrent tripping in the event of an undervoltage condition. The MR-IV is part of the 100 series drawout range within the vision platform. A negative sequence protection relay for motors or generators to detect machine unbalance and unintentional heating through measured phase currents using conventional ring-type current transformers. The MR-NS is part of the 100 series drawout range within the vision platform. 100(w)x150mm(h) withdrawable case construction with non-shorting VT contacts, M4 screw terminals and IP54 rated perspex cover. A universal mains decoupling relay providing rapid disconnection based on either vector surge or rate of change of frequency protection. Used in mains paralleling operations and cogeneration schemes. The MR-MF is part of the 100 series drawout range within the vision platform. 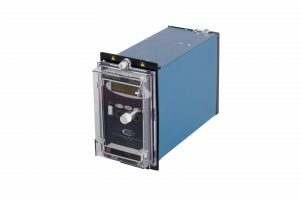 An easy to use reverse power relay for the protection of generators operating in parallel with a mains supply or another generator source. The MR-RP is part of the 100 series drawout range within the vision platform.